Originally $4.95, Now $1.95! Our Mr. & Mrs. Snow Tape is just the thing for any holiday gift or package. 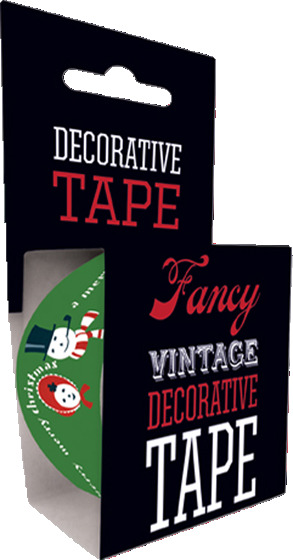 Adorned with a Snowman and Snowwoman couple bestowing Christmas wishes, our decorative tape is 49.2 feet long and fits standard one-inch tape dispensers.